Friday evening we had a few friends over to play card games (we’re officially old people). We ended up chatting for a few hours, and only playing one game but we had a great time! Saturday was our anniversary and I spent a few weeks looking forward to the day. We both knew we wanted to make a big deal out of our anniversary since, well, relationships are hard work so why not celebrate all the work we’ve done? We didn’t get each other gifts, but each planned an activity. 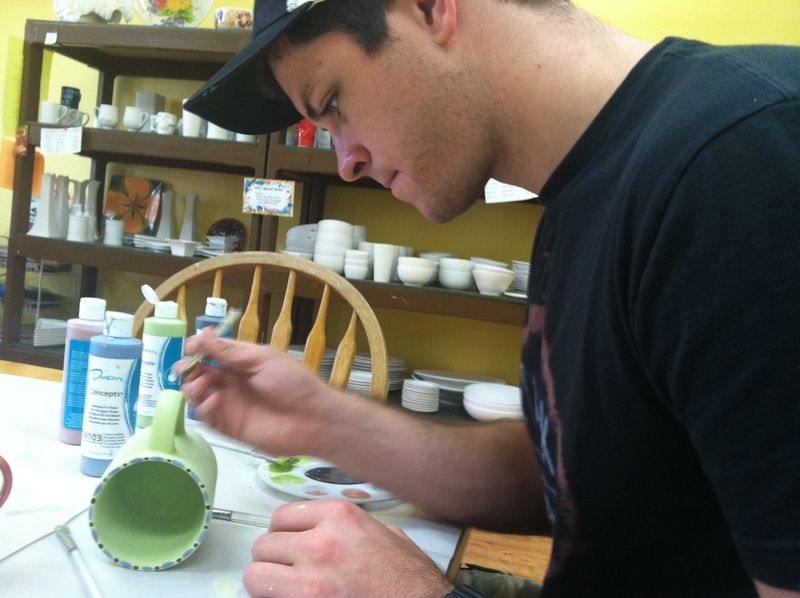 Brandon planned a day date to a pottery studio in Santa Rosa. Pottery painting is a hobby I wouldn’t have envisioned for him, so I was surprised when he planned this activity for our date. 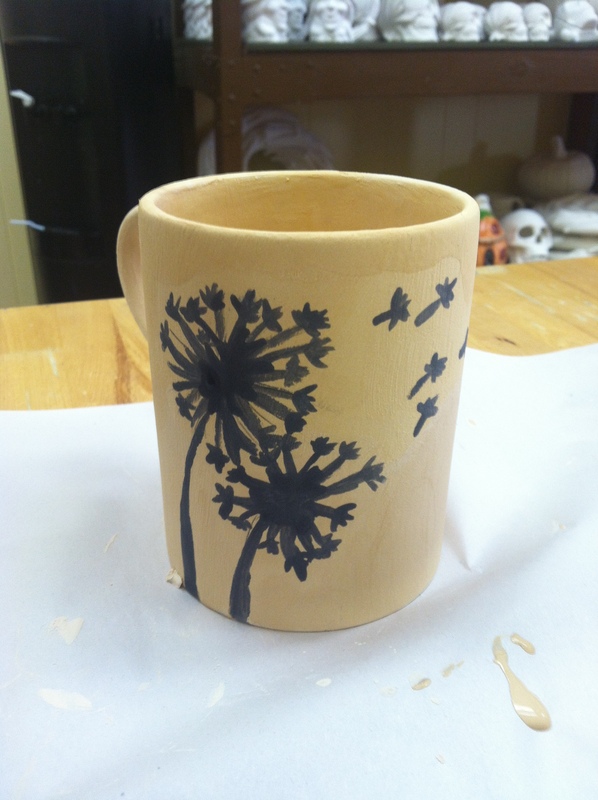 We spent a few hours at the studio and each painted a coffee mug. We left them at the studio to be glazed and fired, and we’ll get to pick them up this week! On the way home from the pottery studio, we stopped at Petco to pick up a new friend. 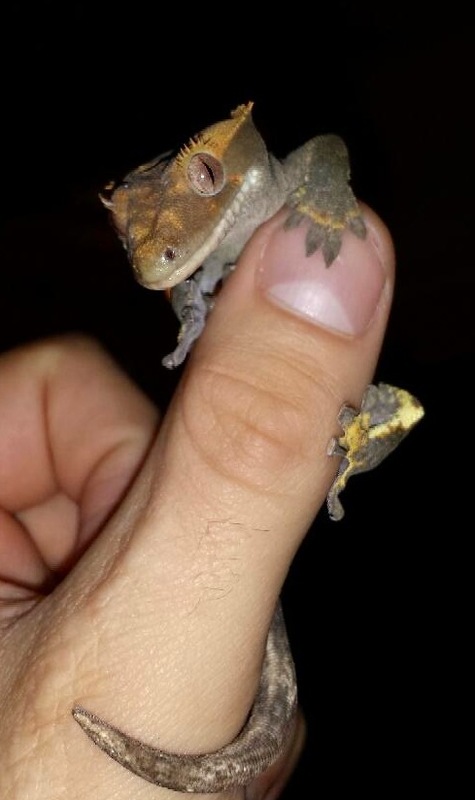 Meet our new eyelash gecko, Bruce! Brandon is really into reptiles (we have two snakes already) and after hearing that Petco was having a sale on reptiles and cages this weekend he asked if we could get a gecko. We were looking at leopard geckos when I spotted this little guy and fell in love. I’m sure a lot of people don’t find reptiles that interesting, and I count myself among them. I’m not crazy about snakes, but for some reason I loved Bruce the gecko instantly! He has awesome coloring and loves to climb and jump. After getting Bruce settled in to his new home, we went out for our anniversary dinner at The Melting Pot. I have wanted to try this restaurant for a long time, so it was the first one that came to mind when planning our evening date. 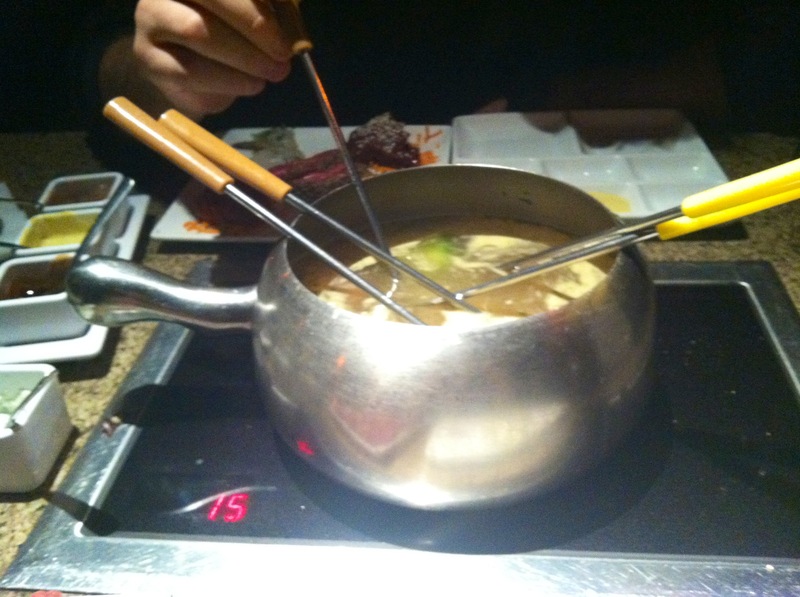 Neither of us has tried fondue before so we decided to get the full experience by getting the four course option. We started with cheddar cheese fondue that arrived with bread and veggies. Next, we each had a salad. I had the caprese salad which was pretty good. The mozzarella cheese was very soft, but I found the balsamic reduction a bit too sweet for my taste. 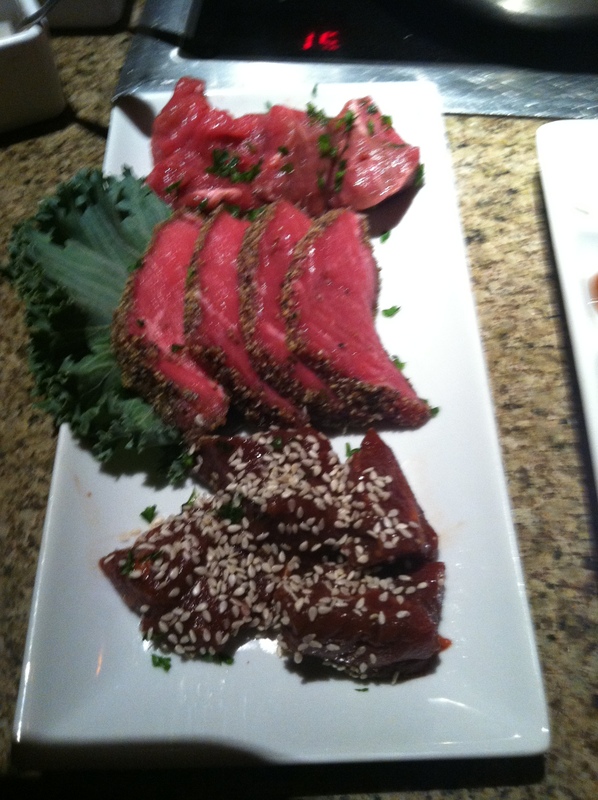 Our third course was the meat course. For this course, you choose the oil you want to cook the meat in. While we chose the standard vegetable oil, apparently there is a battered option that is for more advanced fondue-ers (I didn’t know such a thing existed!). The meat arrived with vegetables and a plethora of sauces to dip in. It was definitely interesting cooking our meat in the oil, if not a little frustrating at having to wait to eat our delicious main course! After the meat course we got the s’mores chocolate fondue to finish off the evening. 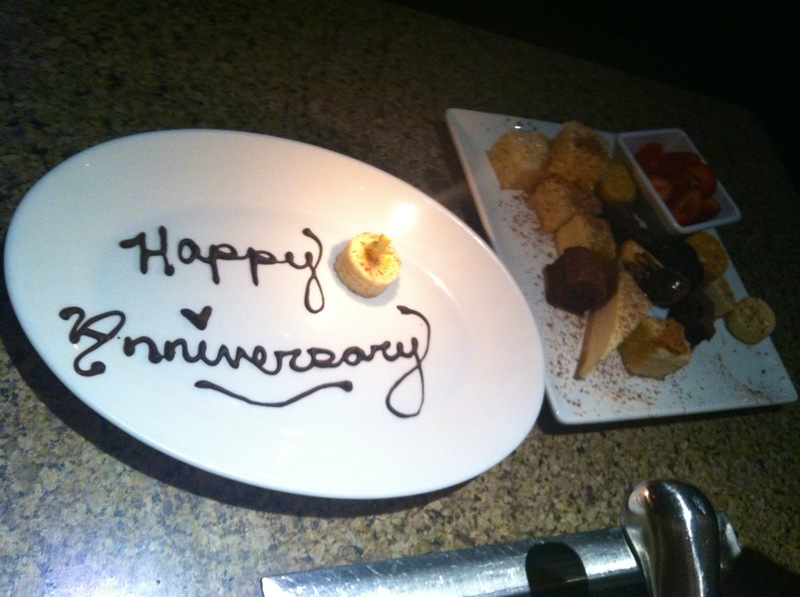 It arrived at our table with a message wishing us a happy anniversary and many sweet goodies to dip in the chocolate fondue. This course was easily my favorite! 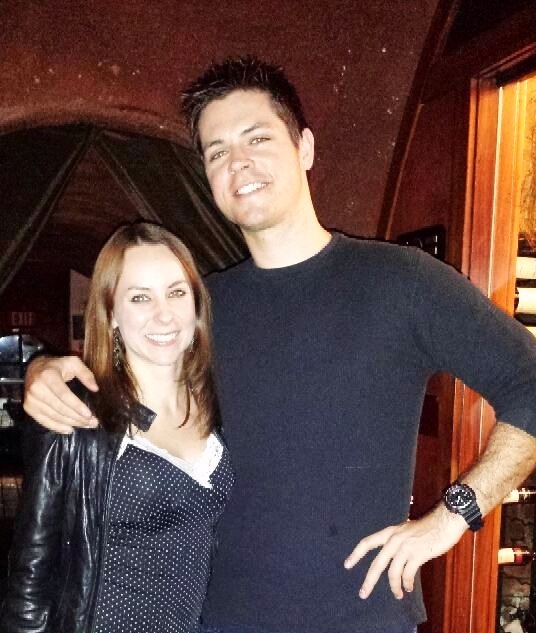 We asked our lovely server to take a picture of us as we were leaving the restaurant to commemorate the moment. Though we had a fantastic experience trying fondue for the first time, I’m not sure The Melting Pot would be a restaurant I would frequent. It’s great for the novelty aspect, but I think it’s pricey for the food. We ended the evening with a glass of wine on the couch, a reminisced a little about our time together. Since Brandon works on the weekends, it was great that he was able to take our anniversary off so we could spend it together. Sunday consisted of buying groceries for the week, getting additional items for Bruce and running other miscellaneous errands. It ended on a high note with an evening trip to the gym. I’m pretty sure I was still working off the meal from the night before!